​For this particular article, we'll focus on developing the Krav Maga Knee Strike, bringing attention to all three pillars of self defense training and how they relate to one another. At the end of the discussion, there is a video that sums up and demonstrates all three pillars in action. This is Technique. You need to know what to do! If someone gets you in a headlock, then you need to know the corresponding headlock defense. There are many ways to counter a headlock, and different martial arts traditions will have their favorites. We've chosen Krav Maga as the basis for our self defense response, based on it's efficiency, learn-ability, and proven practicality. It is literally taught and used in the real world, EVERYDAY, by Israeli soldiers in the IDF. We love that Krav Maga wastes no time or energy in trying to look fancy, it's all about what works. The choice of which self defense/martial arts techniques you are going to learn is up to you, but you need to choose something. Whether that is Krav Maga...or something else, like Muay Thai Kickboxing, Brazilian Jiu-Jitsu, or something from the Karate family, commit to learn something. Knowledge of something, will always be better than knowledge of nothing! A standard knee strike. Point your toes down to further expose the striking tip of your knee. Bring your knee straight up, powerful and fast, pulling with all of your core muscles. Make sure you've got some solid body weight behind the strike. Strike up and through your target. At the apex of the strike, recoil the knee along the same path you took to get there, pulling your knee back down hard and fast to accentuate the strike. Remember, damage is created in the snap of a strike, not the push. This is Fitness. You've got to be able to do it. This is where strength, speed, endurance, and body mechanics come into play. It's not enough to just learn techniques, you've got to make sure you are able to execute on them. Have you ever hit pads, at speed, for a minute straight? Ever grappled someone for a full minute?​ It's exhausting! Granted, most self defense encounters won't even last a minute!...but the last things you want, is to run out of gas in the middle of an encounter. Adrenaline and the urgency of the moment may give you some extra strength, but nothing can beat good, solid conditioning. In a minute, you should be seriously winded. These are powerful strikes because they incorporate so many muscles groups and body parts. For that same reason, they'll tire you out pretty fast as well! Now trade places and take a few knees on the pad. Hold the pad away from your body for some...but then bring the pad in close and hold it right against your chest while you hunch over. The pad will protect you from the sharpness of the strike, but you should still feel the punishing impact behind it. One minute, and if your partner is doing it right, you'll be hating this exercise! minute, you should be seriously winded. These are powerful strikes because they incorporate so many muscles groups and body parts. For that same reason, they'll tire you out pretty fast as well! Now trade places and take a few knees on the pad. Hold the pad away from your body for some...but then bring the pad in close and hold it right against your chest while you hunch over. The pad will protect you from the sharpness of the strike, but you should still feel the punishing impact behind it. One minute, and if your partner is doing it right, you'll be hating this exercise! ​Giving and taking knee strikes with a pad is painful! But this is at the heart of conditioning. The only way to learn a knee strike, is to be able to send them into somebody/something at speed. It's the only way you'll get a feel for range, movement, timing, and the physical toll of exerting multiple muscle groups in a single explosive activity. And by taking a few on the pad, you are conditioning your body to get a feel for the sudden explosiveness of aggressive strikes coming YOUR way. Many martial artists wimp out after getting hit just one time, simply because they've never conditioned or prepared for a real strike coming their way. This is Attitude. You've got to know how to do it. Many schools will stop after teaching technique and providing some basic conditioning. You now have the knowledge of what to do as well as the conditioning to get the job done. But wait! There's a critical third piece to this puzzle, one that goes largely unaddressed. HOW we respond to threats, the emotions, intensity, the mindset...is just as important as knowing what to do and being able to do it. HOW we carry out our response is critical! Much of mindset training is simply working through scenarios. When you start defending yourself, you need to be able to "flip the switch", go all out aggressive. Don't just initiate one combative, be prepared to do 7 combatives in a row!...be ready to aggressively "get to work" and NOT stop until the threat is neutralized. Understand that in self-defense, you aren't going to need to pace yourself to make it through three 5-minute rounds. No!...most self defense confrontations will be over in seconds - and self defense training should condition you to immediately explode when threatened! You stand neutral, at ease, with your eyes closed. Have your partner come up and shove/strike you with a training pad. Once you get shoved by the pad, you need to open your eyes and see your aggressor, note position and range. Suddenly and aggressively move into a side control position and unleash knee strikes at speed, until the holder calls out a reset. At reset, go back to a neutral stance, close your eyes, and the drill starts over. Knowledge, Conditioning, and Mindset...all three are critically important for self defense training! 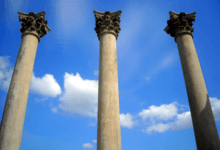 Don't make the mistake of neglecting any one of these pillars.